A lot has been talked about what transmission oil if good for automatic gearboxes. But not many people have discussed how to select the right gear oil for manual transmission car. Although, every car manual mentions the type of gear oil required, but people have been debating on this since cars were built. Some mechanics recommend high viscosity gear oil, while other stick to ATF oil for both automatic and manual gearbox. Then comes more choice- Synthetic or Mineral oil? When should you replace Manual Transmission Oil? Some manufacturer that say their transmission oil is lifetime? Selecting the Right Gear oil for your manual car? Just Tell me what oil should I use? Well, when there is so much opinion noise, we say go with what the car manufacturer suggests. However, keep in mind that the manufacturer is recommendation is for an average user. What I mean by this is that you, the driver of the car knows well how the car is driven and in what condition. Based on this you should take manufacturer advice as a baseline and make your own flexible decisions. If you drive in hilly areas, then your transmission has to take more stress on a daily basis, compared to a car driven on plain roads. Similarly, if you drive enthusiastically, your transmission has to bear high stress. Many car manufacturers, including BMW now use ‘lifetime’ transmission oil in their model. But, the term lifetime is quite vague because it could mean 5 year or 50 year depending on the person. Imagine, 50 years from now BMW running with ‘lifetime’ gearbox oil…THIS is never going to happen. If you really care for your car, then you should change transmission oils at around 80,000 km at least. This is not a difficult job and won’t take more than 30 minutes to do. If you like smoother shifting or added durability in extreme conditions, you should cut out ‘lifetime’ word from your owner’s manual. Apart from scheduled transmission fluid change, there can be some circumstances where you need to do it before. One common case is when your transmission or transfer case is suspected of water submersion. While driving through the flooded roads, water can enter into the transmission. This can severely damage the gearbox if its not changed immediately and you keep driving the car normally. Also, if you have had a transmission leak repaired, make sure that gear oil is topped up again. It’s easy to neglect it and this could potentially ruin your gearbox if there is oil starvation. Ok, now we have a general idea about when to replace transmission oil. But let’s talk about what kind of oil you need to put into a manual transmission. Compared to engine oils, transmission oils are of higher viscosity. 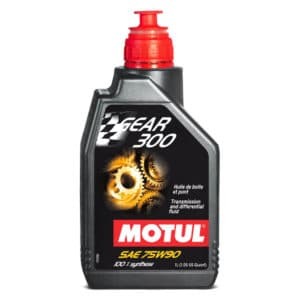 For example, it’s common to see numbers ratings like 80W-90 for gear oil. But it’s not just viscosity that differentiates transmission oils from engine oil. Both the oils have different additives. 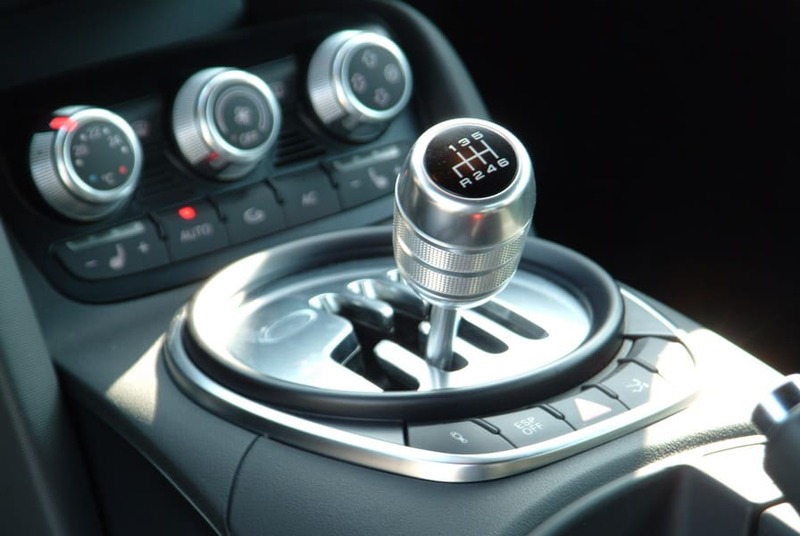 A manual transmission is made up of different metals, and rubber parts. The gears can be made out of steel, transmission synchronizers can be made out of softer metal like Brass. What’s good for one metal might not be suitable for other metal. Therefore, a big part of selecting the right transmission oil is to find the compatible oil. This can be done by knowing the GL rating of gear oils. The most common GL rating is GL-4 and GL-5. GL-4 is typically used in regular cars for daily usage. The GL-5 is recommended to high-stressed gearboxes in trucks and high power output cars. 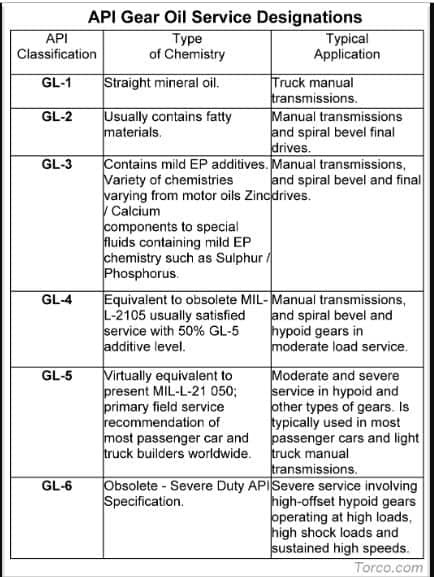 The owner’s manual of your car will most definitely tell the right GL rating for the transmission. On checking the manual, you might find MT-1 rating recommendation. MT-1 grade oil is used in non-synchronized type gearbox. It’s often used in heavy-duty trucks and some all-wheel-drive transfer box. Well, as you can see it’s impossible to recommend you some oil without knowing what car you drive. But manufacturers have taken care of this and mentioned the transmission oil specifications in the owner’s manual. Yes, in owner’s manual you’ll find the right GL rating along with required viscosity. However, if you find the synthetic transmission oil in the required grade then that’s always preferable over mineral oil. Note: Find out what viscosity and GL rating is required and match it with the oil bottle label. 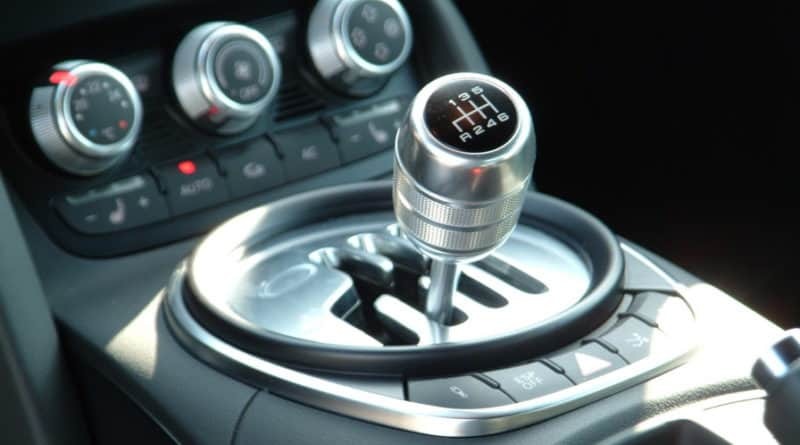 Also see: Different Types of Automatic Transmissions; What’s best?